Why is Jade Beach Such a Popular Condo Rental? 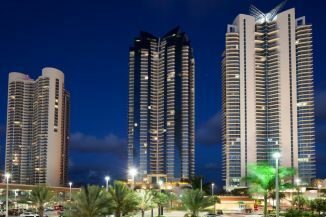 Are you looking to rent an apartment in Sunny Isles? There are many people like you who are in search of apartments to rent. You’ll be happy to know that you can find many apartments in Sunny Isles Beach available for long term rent. If this sounds like the situation you are in right now, then look at Jade Beach, which just might be your best option. Jade Beach offers a direct beach side location loved by all. It is also just a short distance from Miami and from Fort Lauderdale airports. There is a convenient shopping area right across from Jade Beach condo, so you don’t even need a car. Actually, just about anything is close by this ideal location – whether you’re a South Beach nightlife person or downtown Miami or even Fort Lauderdale, is just a short distance away. This is why people see this place to be an ideal place to live or even to rent. There is quite a selection in Jade Beach in regards to rental properties. Please click this link to view all currently available long term rentals in Jade Beach – http://www.sunnyislesmiamirealestate.com/Sunny-Isles-Beach/Jade-Beach/#rent. As you can see there are various sizes apartments available. From 1 bedroom to 4 you can find the apartment that suits your family needs. Please note, all prices are based on annual occupancy. Shorter term rentals or seasonal rentals demand higher price. 6 months is the minimum rental period. What are the Benefits of Renting at Jade Beach? Why will one go to rent a unit at Jade Beach condo? There are various reasons why people will like to rent a Jade Beach condo. First of all is its oceanfront location. You will find all of the wonderful amenities within the building itself. This offers some amazing features. This building features an on-side guard, valet parking, community spa, swimming pool and an entirely safe gated community. You will also get a private beach, providing you access to prime sports right on the water. The building also offers “smart building” technology, which allows to communicate with concierge, valet as well as control many features of your apartment. Do you want to rent an apartment in Jade Beach property? If so, please contact our office today to find out more about the available rental properties in Jade Beach as well as other oceanfront buildings.